Dr. Volpellier has more than 15 years of experience in working with sexual health, and is currently the lead doctor of Forensic Medicine at St. Mary’s Hospital in London, where she established a new forensic service for victims of sexual assault in 2004. Additionally, she has many years of experience training doctors and nurses in the forensic examination of sexual assault, having assisted PHR on three Istanbul Protocol trainings. Previously, Dr. Volpellier worked as an HIV/AIDS consultant for Médecins Sans Frontières, as a medical expert for the International Council for the Rehabilitation of Torture Victims, and as a forensic doctor for the Medical Foundation for the Care of Victims of Torture in London. 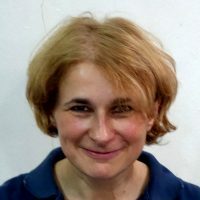 Dr. Volpellier received her medical degree from St. Antoine University Paris III, a Masters in Languages and Literatures of South East Asia from the University of London, and a Masters in Public Health from the London School of Hygiene and Tropical Diseases. She has successfully completed several diploma courses, including teaching French as a foreign language from the University of Cambridge.